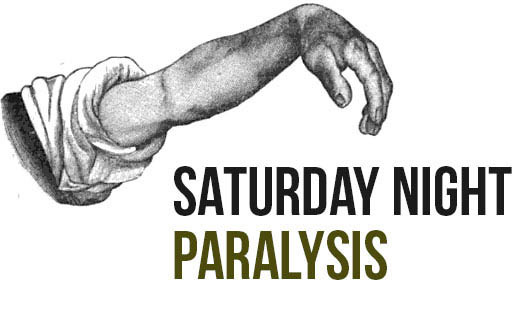 Saturday night paralysis has got nothing to do with "Saturday." That is only a popular misconception. It is just another word used for conditions where the radial nerve (peripheral nerve that transmits signals to the upper part of the limb) gets compressed and leads to paralysis. This is commonly experienced by individuals who consume excessive alcohol and fall asleep with their arms placed under their bodies or in such a position that the arms are forced against a hard object. It can also occur when a person sleeps while seated on a chair with one arm on the back of the chair or when a person falls on his/her arm with a sudden jerk. This is usually characterized by burning sensations, numbness, difficulty in movement, or a drooping elbow/wrist. When similar symptoms are encountered, it is advisable to visit a neurologist for diagnosis and treatment. Pain medication, steroid injections, and anesthetic creams are generally prescribed depending on the manifestations observed. Apart from this, certain exercises, massages, and acupuncture may be prove to be helpful to accelerate recovery. Sometimes, electrical nerve stimulation may also be an option. Here many small electrodes are made to adhere to the skin and a small electrical current is passed at different rates in close vicinity to the affected area. If improvement is not observed over as long as three months, a surgery may be recommended. Surgeries may also be an option when the nerve is entrapped in a mass and its function is hindered. However, avoiding awkward positions that pressurize/cause cramps in the upper arm region for too long is the best method to prevent Saturday night paralysis.